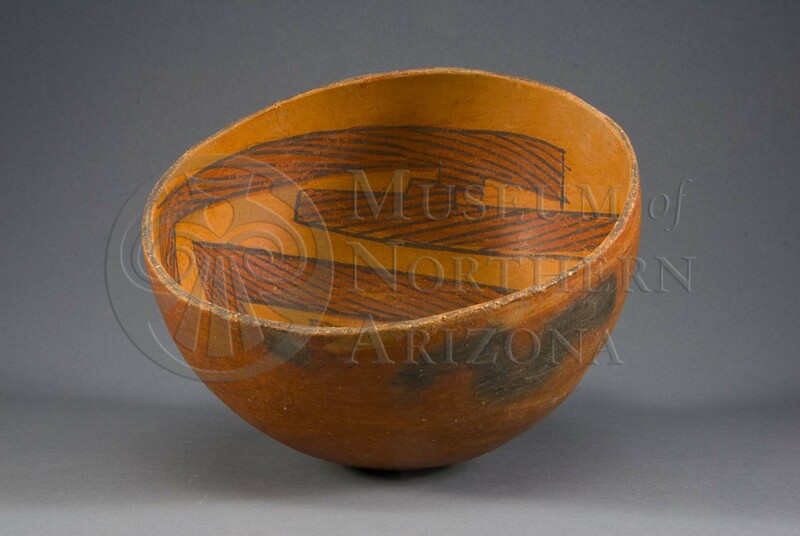 Cameron Polychrome bowl from the Museum of Northern Arizona collections. Click the image to open the Cameron Polychrome gallery. Cameron Polychrome is a Tsegi Orange Ware type originally known at only a few sites around the San Francisco Peaks, but with a much broader geographical distribution than originally described. 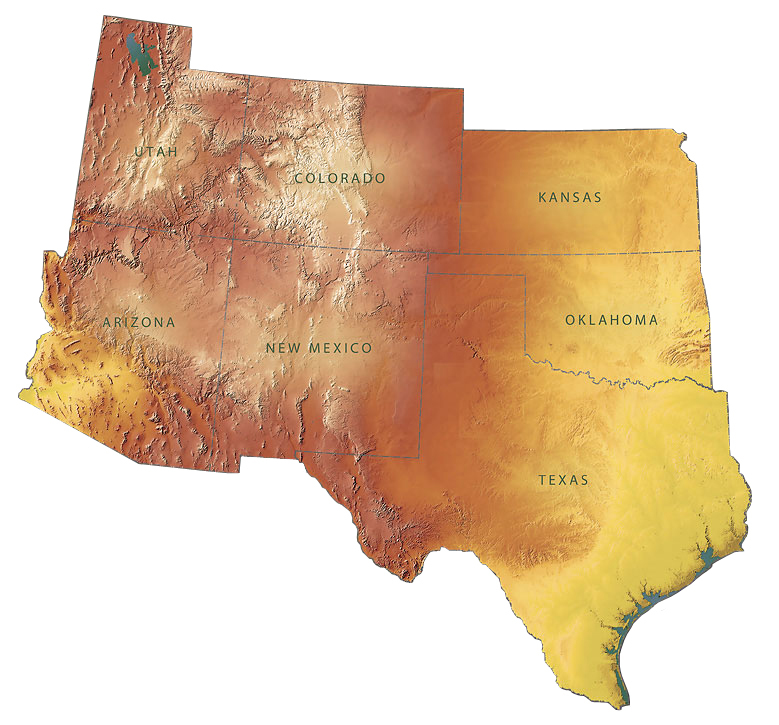 Kayenta Heartland: A.D. 1040-1170 (Christenson 1994); Flagstaff Region: A.D. 1075-1125 (per Christian Downum, Northern Arizona University). Surface Finish: Smooth and polished. Surface Color: Buff or orange; outside of bowls covered with a red slip. Design: Style A: wide bands of red on which are painted hatchures in black; Style B: wide bands of red with intervening orange surfaces with hatchures in black.